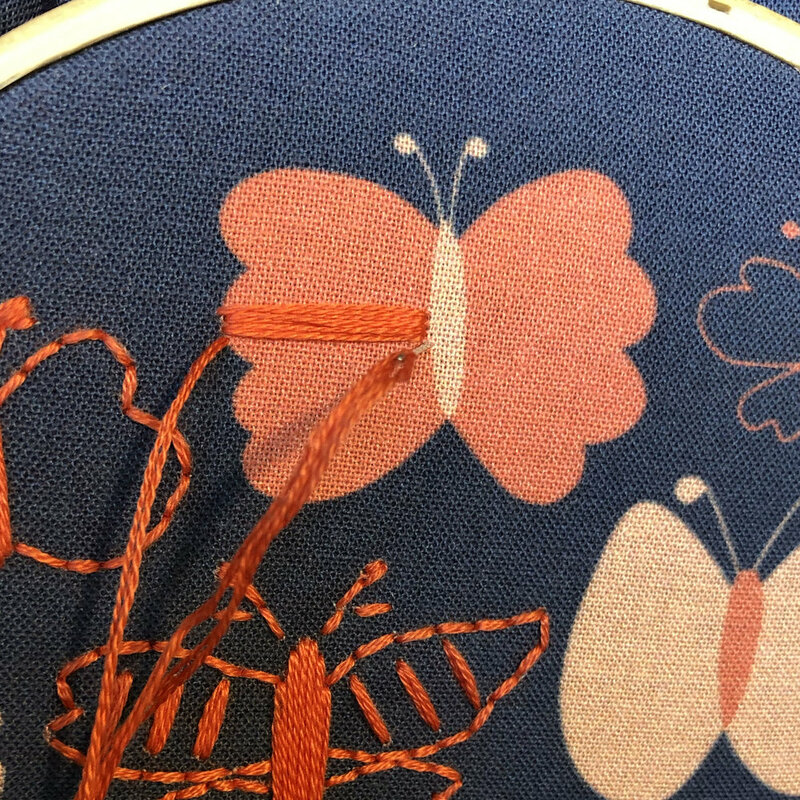 For small areas like the antennae you can use one or two stitches. 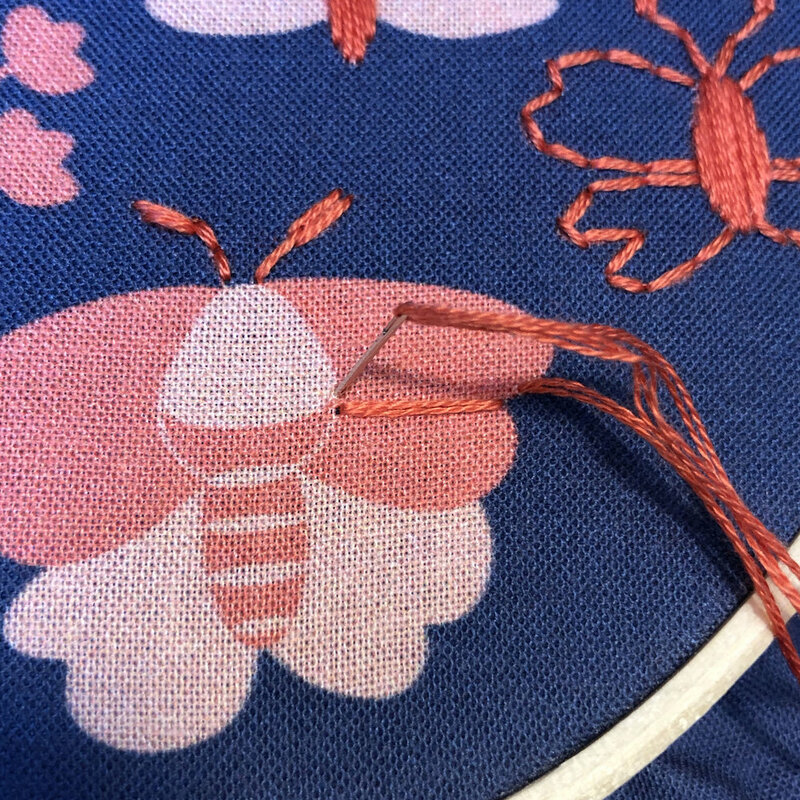 Whatever will cover the printed area. 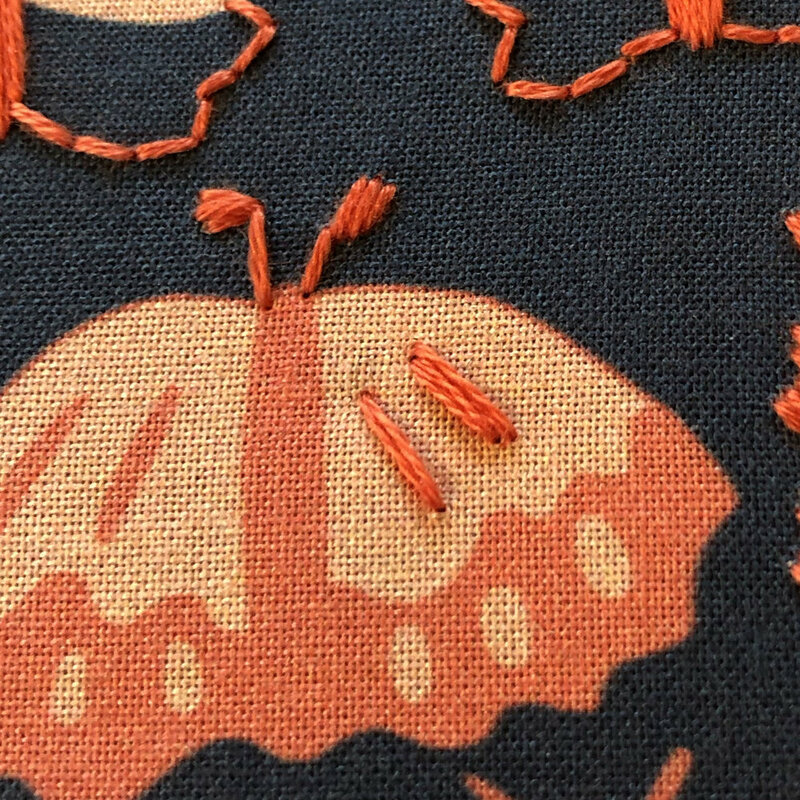 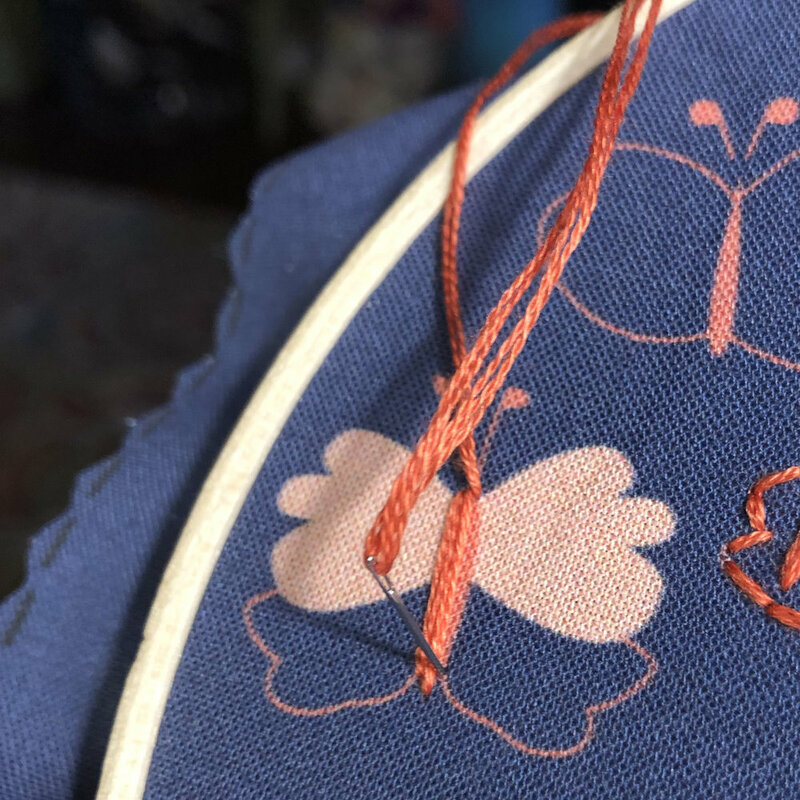 Outlines are Back Stitch. 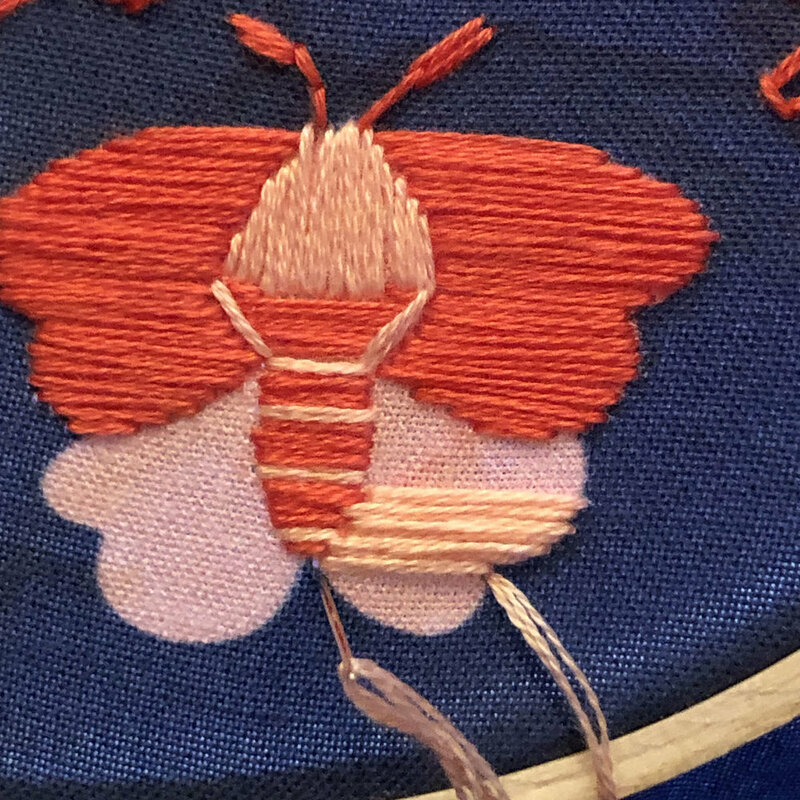 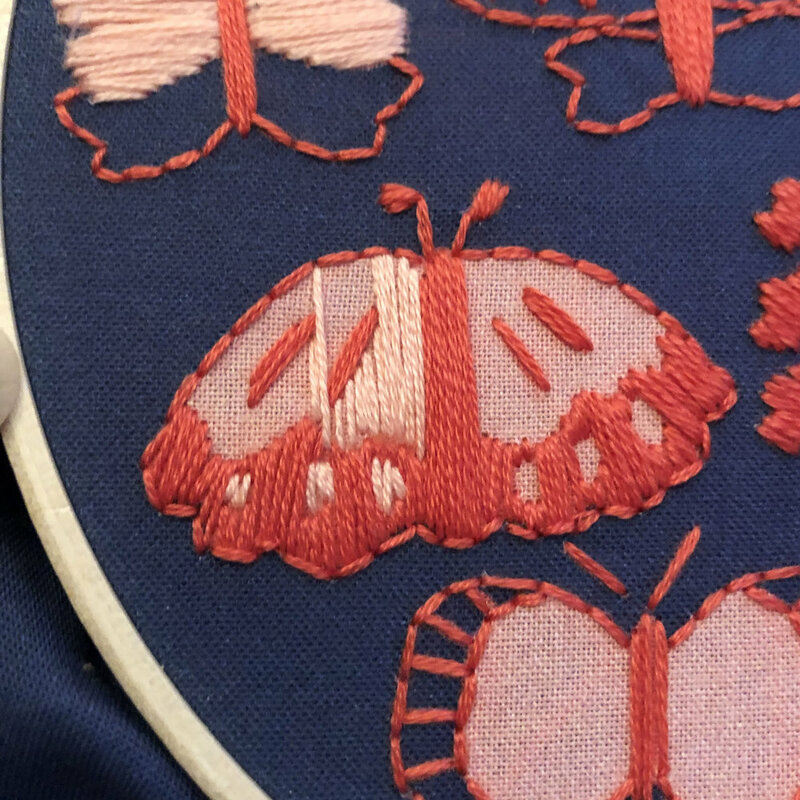 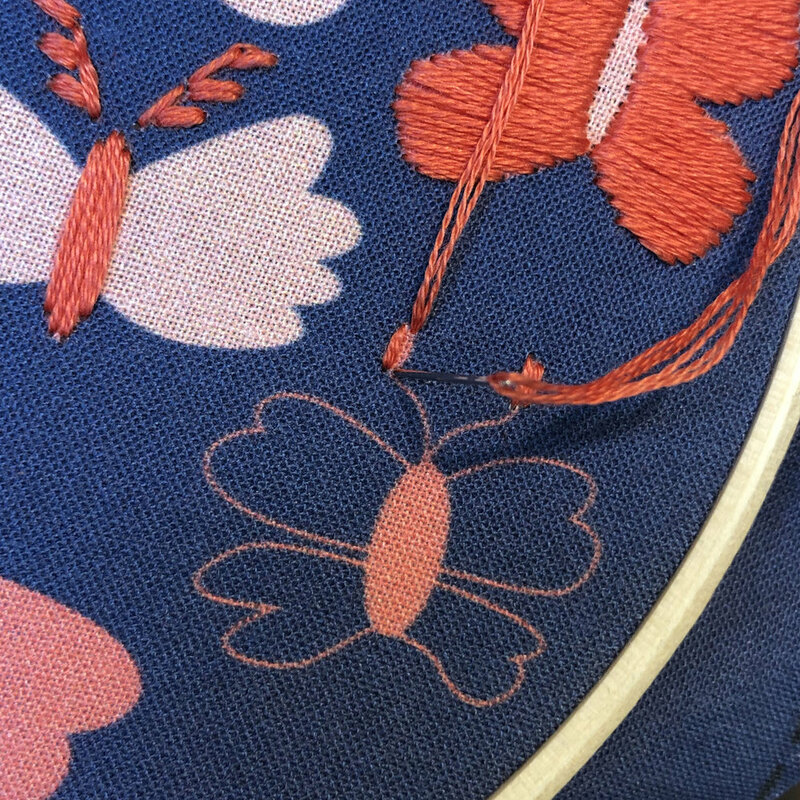 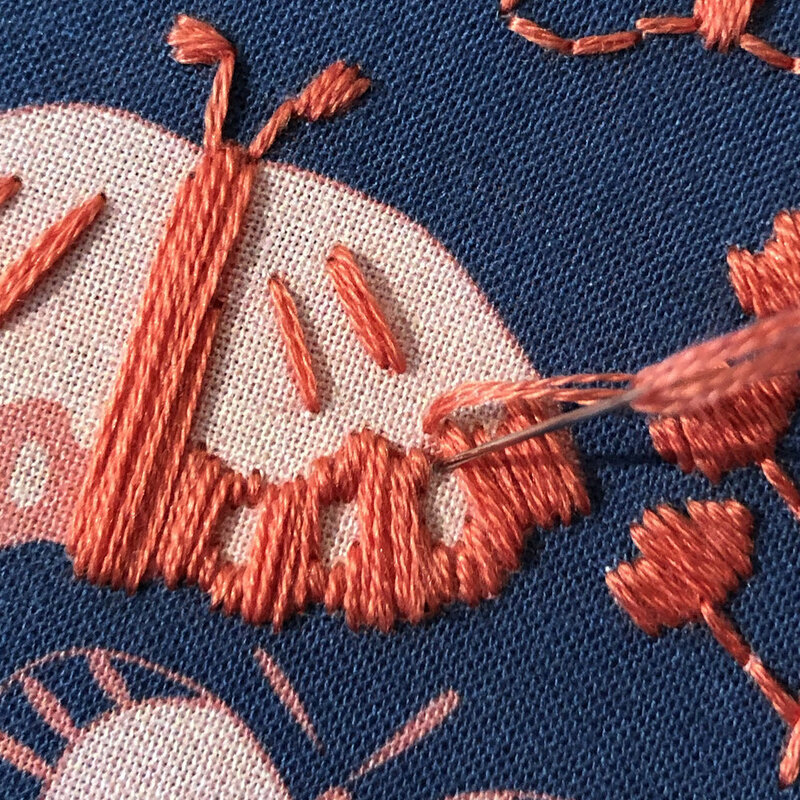 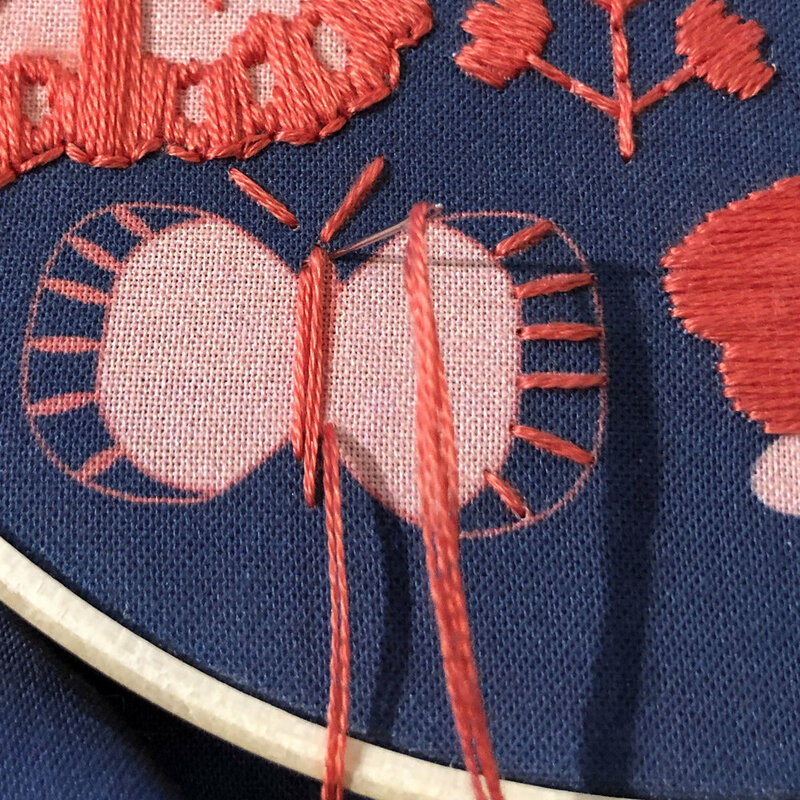 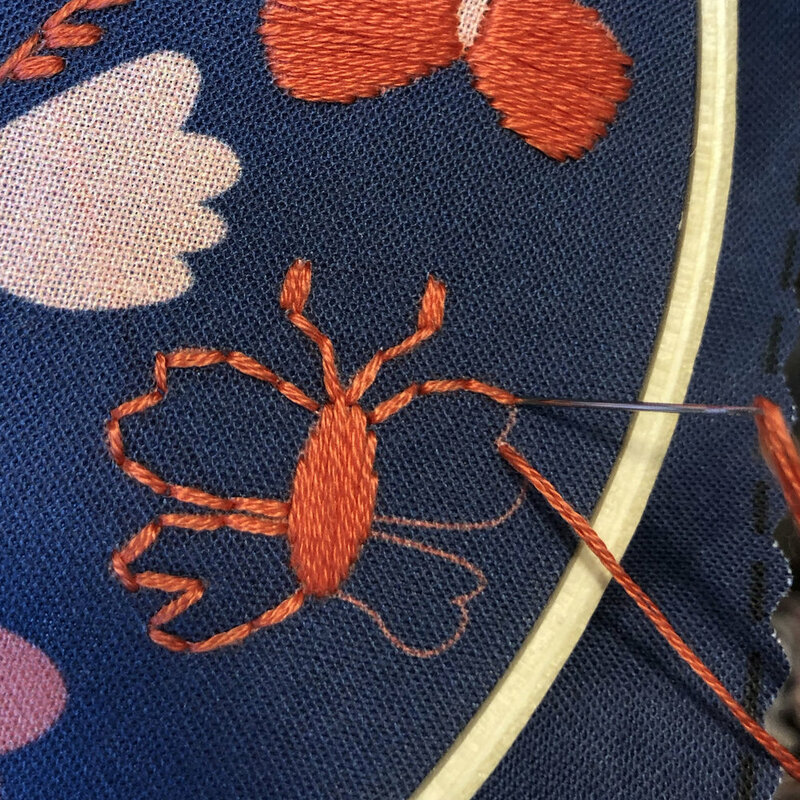 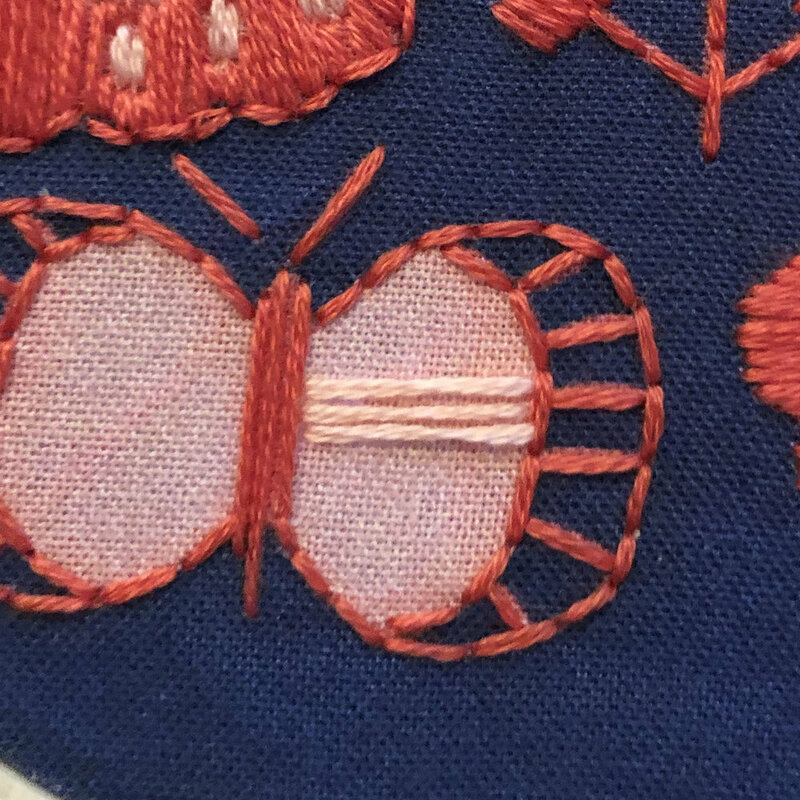 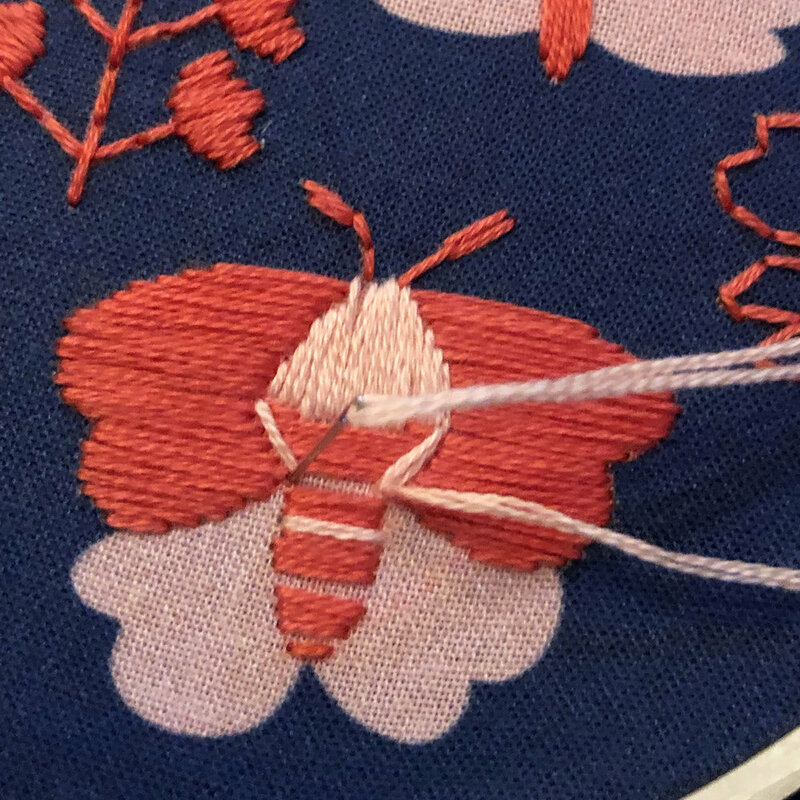 Including the outline on the large Satin Stitch Moth on the left. 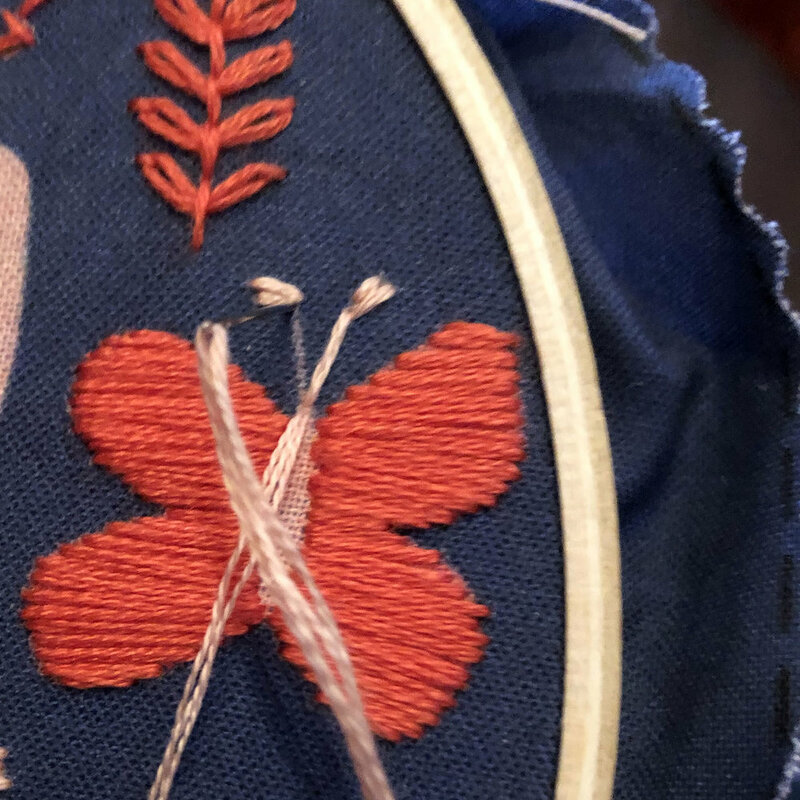 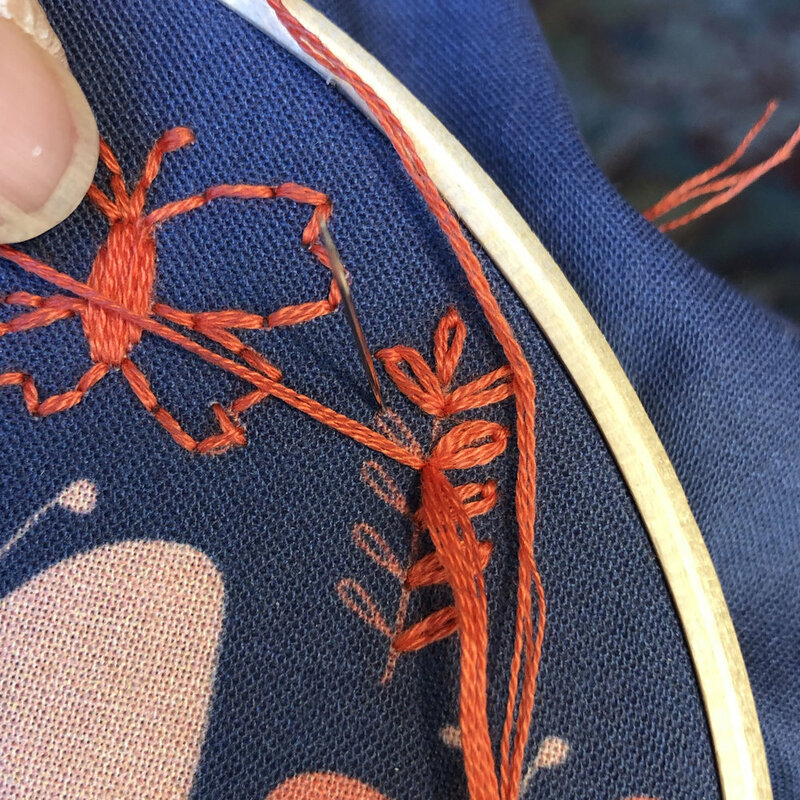 Leaf branch is Daisy Stitch for the leaves and Back Stitch for the stem. 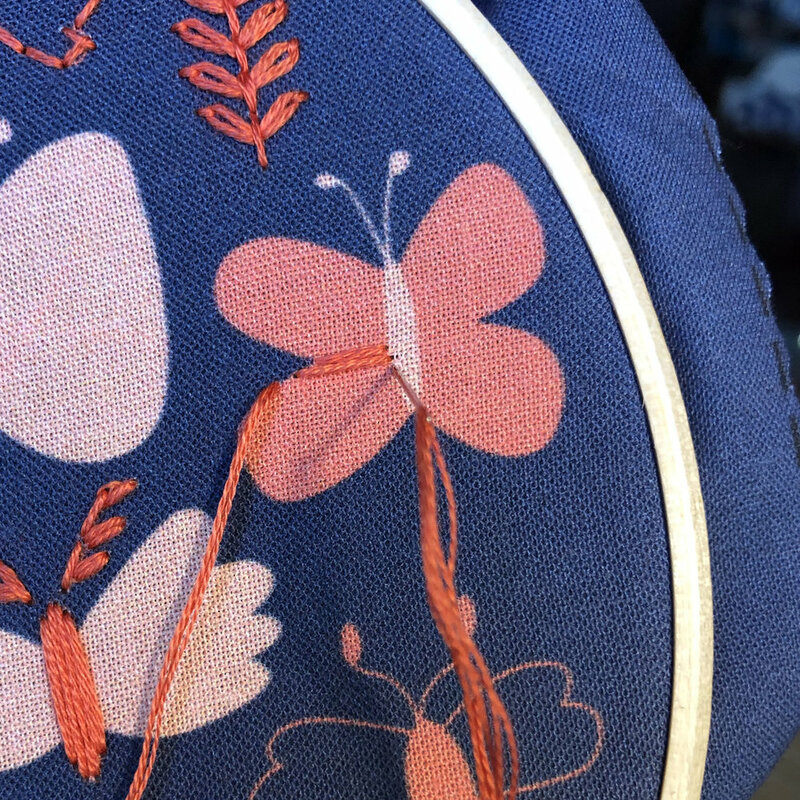 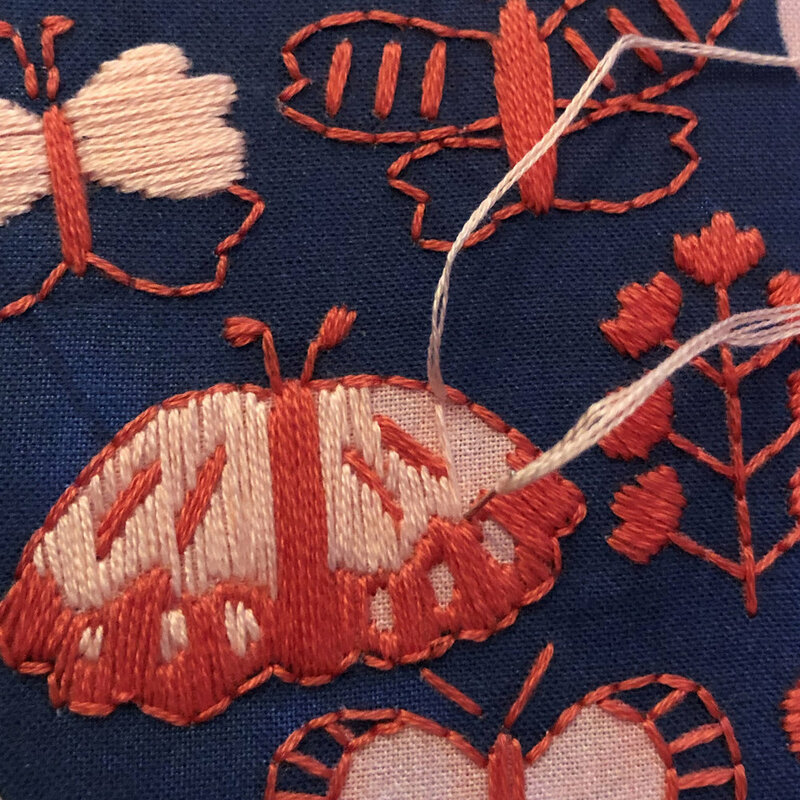 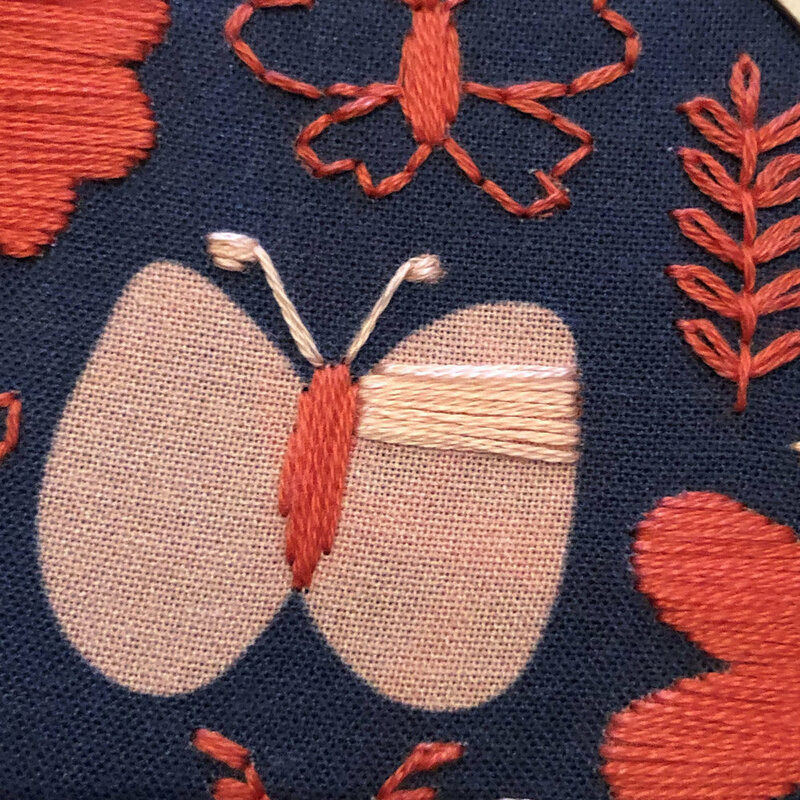 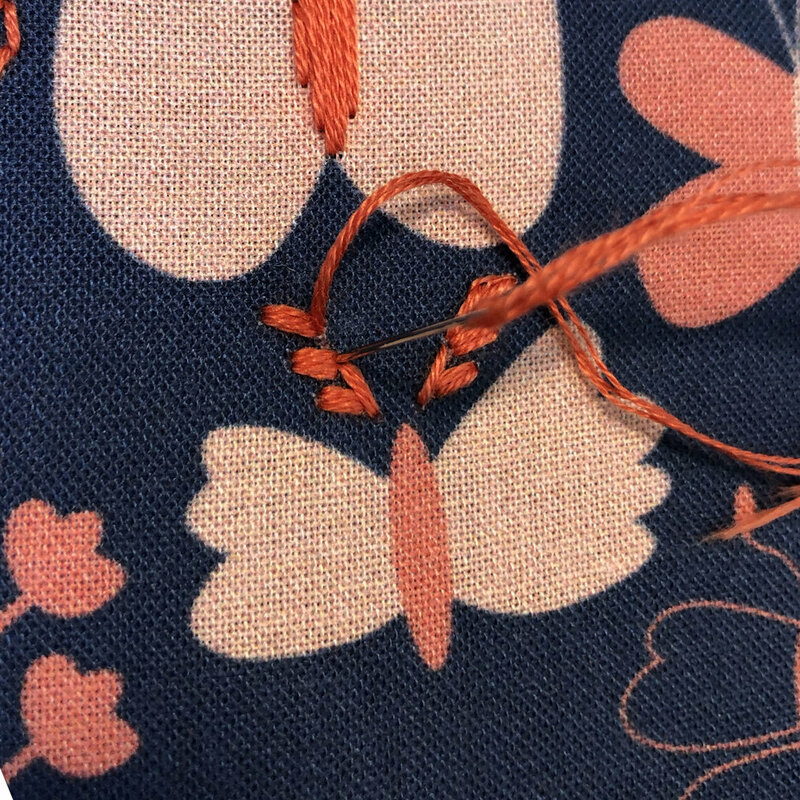 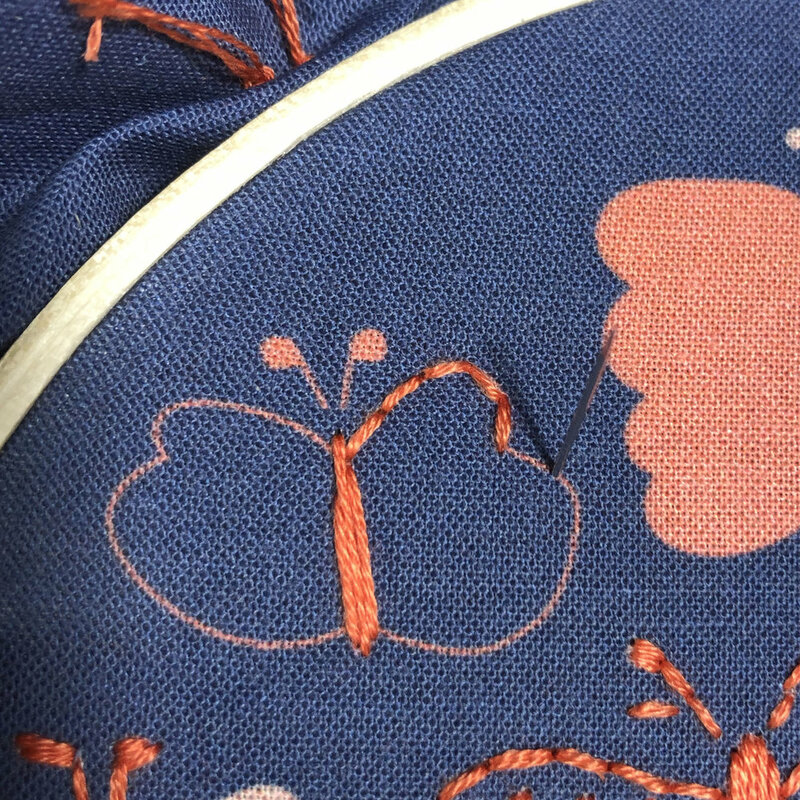 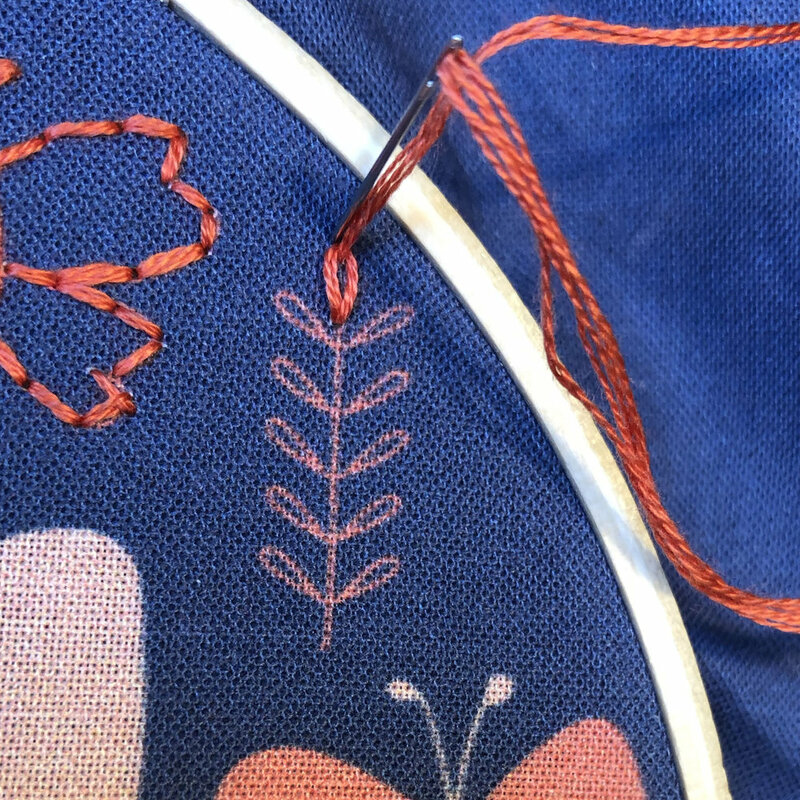 Use Seed Stitch for the bottom right butterfly lines on body. 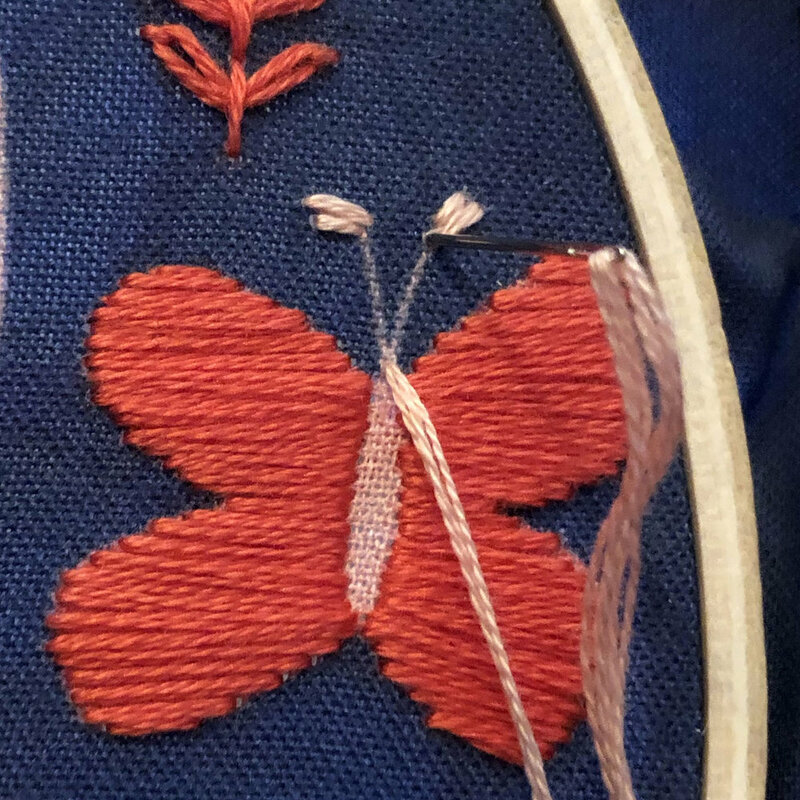 Complete all the Satin Stitch first.